Not really. The KJ-500's cabin looks entirely consistent with that of the KJ-200, ZDK-03, Y-8JB in terms of dimensions and geometry. The only difference is the KJ-500's consoles aren't flush with the wall, but there's a simple answer explaining why that may be. I would argue there's something like 8 workstations in line, in that picture. Give or take. With roughly 1.5 to 2 workstations per 2 ceiling lights. With first two ceiling lights not visible in the image. So possibly up to 10 workstations but 8 striking me as a more probable figure. I think it's definitely more than 5, so I'd say 6 or more. 10 seems unlikely, while 8 is only hanging in the edge of possible. PanAsian, mr.bean, jobjed and 4 others like this. Deino and Yodello like this. 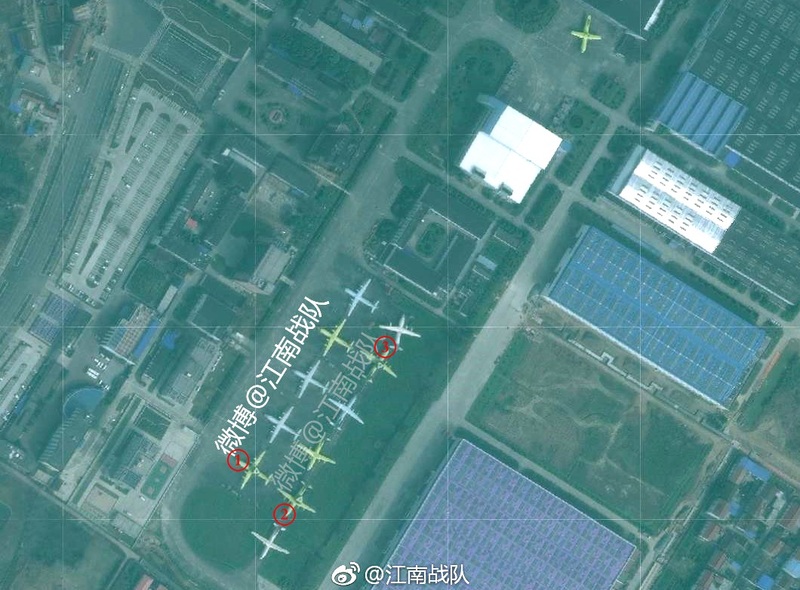 I don't think there's any way of determining that, though considering how recently produced most KJ-500s (among other Y-9 variants) have been, and considering how we haven't seen much evidence of past Y-8/9 special mission aircraft returning to factory for refurbishment, I would suspect few if any of the airframes we see are existing in service aircraft there for refurbishment. Even a 15 airframes per year rate is a huge one, though. That's a fleet of 150 planes in a decade. 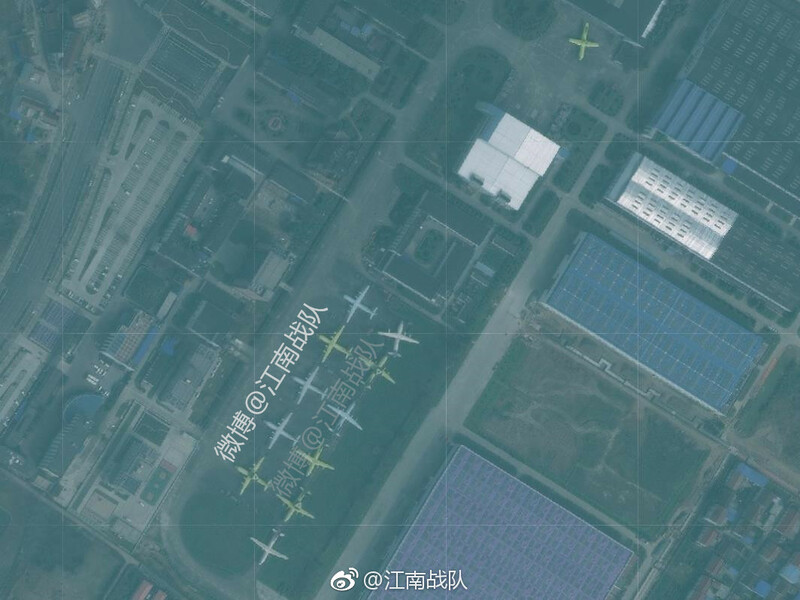 China today doesn't seem to have 150 Y8/9 class planes in total, counting ALL the transport and special mission variants. If such a rate is applied and if it's kept over a long period, in a few decades we might be looking at a fleet of ~500 Y8/9 class planes. For comparison, US military currently has some 670 C130/P3/P8 platforms of all kinds. That suspected higher rate of production only began in the last few years. But yes, you're certainly right that the PLA is building their tactical airlift fleet and special mission Gaoxin fleet (AEW&C, MPA, ELINT/SIGINT, EW etc) from a relatively low preexisting fleet number. But that's also the case for many categories of PLA equipment. 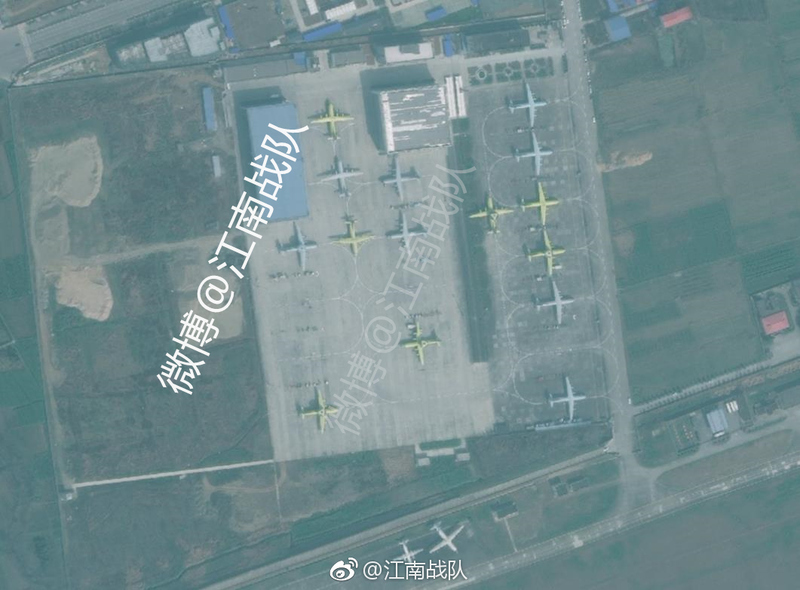 Over the course of a decade and a bit the PLA went from no AEW&C aircraft to having a fleet of currently ~30 (and growing) medium/large AEW&C aircraft. I'm sure I don't need to describe the PLAN's procurement of modern destroyers and frigates, or the PLAAF's procurement of fighter aircraft capable of BVR. I'm not sure how many Y-9 airframes they'll end up having in service (i.e. : what their "goal" or "critical mass" is), but yeah, over a few decades the idea of 500 Y-9 class airframes seems sensible and commensurate with the kind of military that the PLA is seeking to build. It doesn't sound particularly outrageous to me. Perhaps the only slightly difficult to comprehend part is the idea of Y-9s continuing to be produced for multiple decades. Sustaining production of up to 20 airframes a year for a decade and a half should be sufficient before moving onto a different set of airframes for the tactical airlift and special mission purpose, but that's nitpicking.